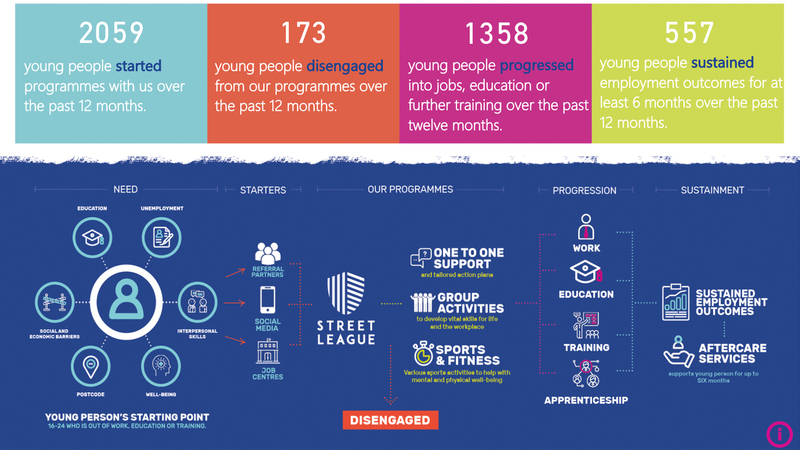 Director of Strategy and Impact at Street League, Lindsey MacDonald, tells us how her charity is using digital to be more open and show how it is making a difference. Follow Lindsey on Twitter. 1.Why is transparency so important to charities and what role does it play at Street League? Over the past couple of years we have spoken with a lot of partners, other charities, funders and regulators, and we see transparency as an important part of building trusting relationships. We have seen trust in charities being lost in recent years and being more transparent (and accountable) is central to restoring this. Being transparent and open about the work we do, how we do it and what we get wrong is also a way to build people’s understanding of what charities do. It highlights that what charities do is difficult and we shouldn’t always get things right. At Street League that saw us start reporting the number of young people we weren’t able to help into a job, education or training outcome. The feedback we have received since then has been overwhelmingly positive and we find that people have greater confidence in our success stories because we’re open about our failures and how we are learning from them. Transparency also plays an important role within the organisation. It shines a light on where we don’t have the right data being collected or processes aren’t as effective as they should be. By highlighting the number of young people disengaging from our programmes we realised how little we knew about their reasons for leaving the programme, limiting our ability to proactively prevent it. A lot of the thinking we have developed was inspired by Matthew Syed’s book ‘Black Box Thinking’, which emphasises the power of learning through failure and the power this can have when a sector comes together to share this. As a sector, if charities could find ways to transparently share their successes and failures it could help us all learn and, ultimately, increase our social impact. How does digital technology help with transparency at your charity? Can you tell us more about your journey? Digital technology has helped us communicate transparently to a wider audience. We started by reporting internally, sharing data with all staff that helped them understand and improve their support for young people. 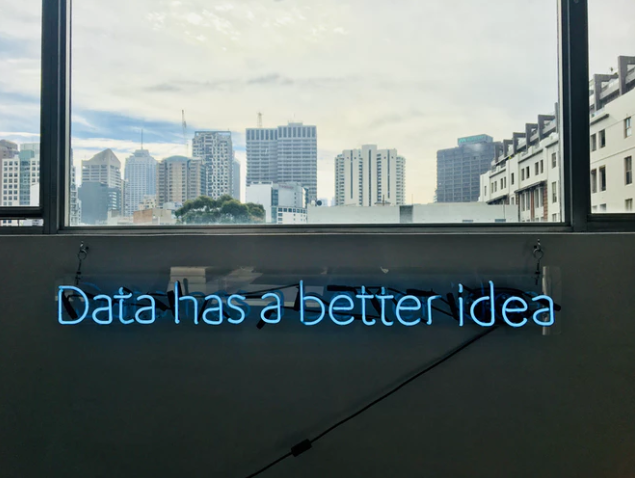 We discovered Power BI, which is the programme we use to build and share our impact dashboard, and this meant that information could be shared in a more interactive way. The next step for us, once we could effectively ‘broadcast’ transparently was to make sure we could also receive and act on feedback. The dashboard had a simple feedback survey that over 130 visitors to the webpage responded to and gave their suggestions and thoughts on how transparent, clear and useful the dashboard was. Some feedback we acted on immediately and some we integrated into the second version, which we launched a year later, in October (www.streetleague.co.uk/impact). We have already had feedback on this version and will continue to review the dashboard’s content and users’ experiences to inform new iterations. We’ve found digital technology has been helpful in enabling Street League’s culture of continuous improvement. This year we published our first 100% digital annual report and one of the things we are really excited to learn is what parts of the report people engage with and what content is of interest to them. We have also introduced digital technology to help us get feedback and be more transparent with our team. On a quarterly basis we now host online ‘Street Parties’ using Google Hangouts, which all staff dial in to. Our CEO, Matt, hosts an anonymous Q&A session using a free online platform called Padlet, when staff can submit (anonymously) any questions they’d like to raise. That’s seen him tackle questions ranging from organisational strategy to challenges we’re likely to face in the future, how we can better support young people’s well-being, and who he thought would win the World Cup. This journey started when we launched our #CallForClarity campaign in 2016 and promoting our ‘three golden rules’ of transparent social impact reporting. We have been able to use digital technologies to advance these efforts and challenge ourselves to increase our transparency in a clear and relevant way. Where are you at with your real time impact dashboard and digital annual report, and what have you learned along the way? In 2017 we published our annual report and just a few hours later put it out of date by launching the sector’s first interactive online impact dashboard. This year we launched version 2.0 of the impact dashboard alongside our first 100% digital annual report. The response to both has been fantastic and we are really pleased to hear more charities exploring ways that they might introduce public dashboards too. We are really keen to learn from others and, where possible, share our learning with others. The key things that we have learned along the way are that you can’t please everyone, transparency is all about trust and the real value that comes from transparency is the learning you can gain. We know we don’t have everything right and we have a lot of learning ahead of us but having ways to receive and respond to feedback has been critical to moving us forward and will continue to be. What are your plans to build on your work in transparency using digital? The people we are ultimately accountable to are the young people we support and going forward we want to use digital as a way to improve the support we provide. We see huge potential for digital solutions to help us better understand and act on the journeys of young people as they engage with and progress through our programmes. We also want to enhance the support we offer to young people and their ability to offer feedback, and see digital as a way to enable this, at scale. Digital solutions can help us better understand the value and effectiveness of our communications, ensuring that we are transparent in ways that people find relevant and valuable. They could also help us work more collaboratively and effectively. We are speaking with DCMS and HMRC, to explore the possibility of using NI numbers to verify whether or not a young person has sustained a job for six or more months. This would save our staff the current work of seeking external verification from employers, which can be a difficult and time-consuming process. It would also let us and other organisations understand how we are doing relative to our peers and facilitate the sharing of good practice. We have found digital solutions to be a helpful way to identify and share good practice across Street League and it would be hugely powerful to be able to achieve something similar across the wider sector. Finally, what are the 3 key things that charities who want to use digital to be more open should do? Make sure that you are impact led – the data will then show you whether or not you are achieving that impact. Leverage digital to facilitate a year-round conversation with partners, stakeholders, funders, staff and the general public.